The CS6 and CS8 series are Clutch Shift PTO's designed to work well on Allison 1000 & 2000 series automatics and many current manual transmissions. 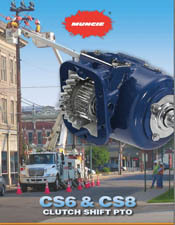 Like all of Muncie's "Clutch Shift" line of PTOs, the CS6/8 offers popular direct mount pump options as well as Muncie's patented Shaft Brake, a standard feature. An upgraded multi-disk clutch brake can be used where absolute shaft stoppage is required. 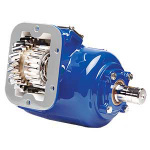 A new option is the Gear Reducer Box (CSGB200-125) which reduces the output shaft speed by 50%, making it an ideal option for low speed applications. 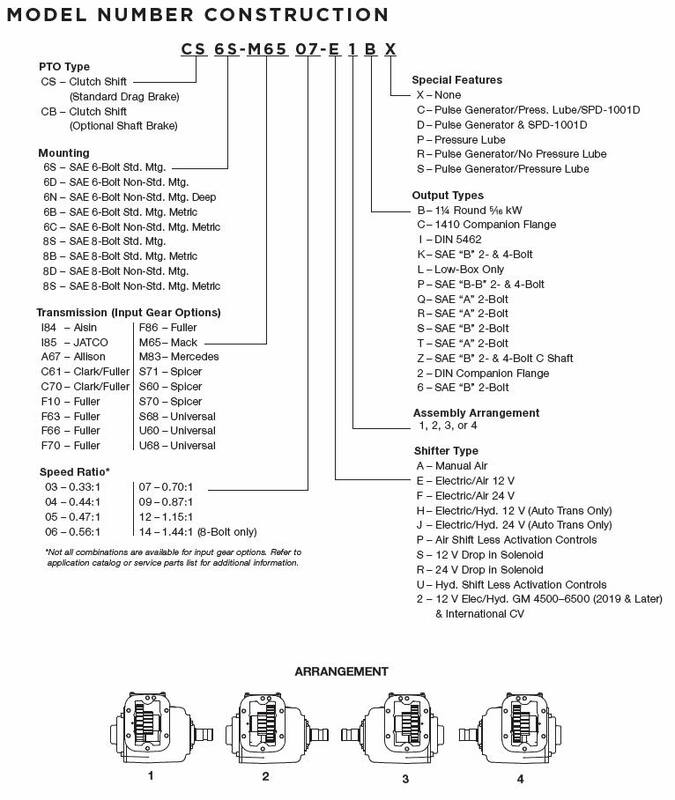 Clutch Shift PTOs used in conjunction with the SPD-1000A, System Protection Device, can greatly reduce expensive transmission and equipment repairs caused by exceeding operational limits. In addition, operating restrictions can be implemented to ensure the safety of the equipment operator and bystanders. The CS6 and CS8 series are Clutch Shift PTO's designed to work well on Allison 1000 & 2000 series automatics and many current manual transmissions. Maximum Torque (intermittent): 350 lb. ft.